So here's a listing of a variety of speciality tapes for your creative design toolbox! Just click on the title link above each tape description to go to a web page to purchase that tape or for more info. Adhesive "dots" that require no drying time, are clean and easy to use, and work on a variety of materials. Glue Dots bond instantly to any surface. EMPTY EMPTY and PACKED PACKED tape rolls from Benchmark. Use on crates for traveling exhibitions so you don't mix 'em up! Great for outlining areas on floors or walls. 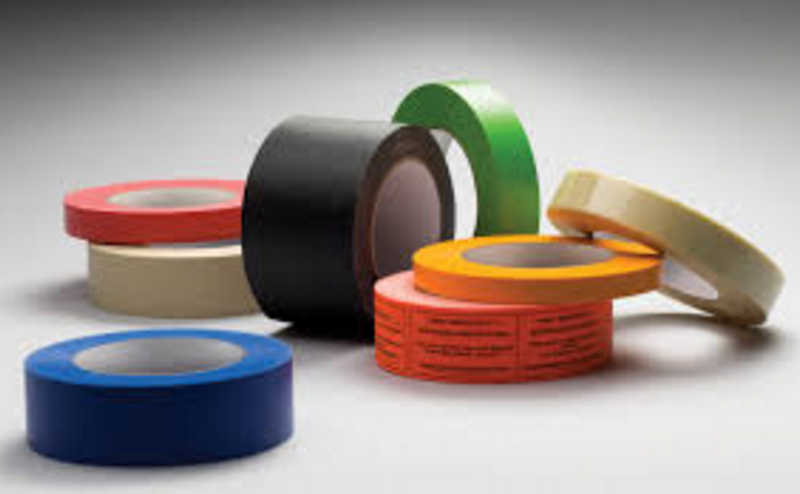 These tapes come from Identi-Tape and are highly adhesive and resistant to water, oil, fungus and chemicals, have a semi-gloss finish, and can be written on with permanent markers. And that also wraps up this post about tape! Do you have any favorite tapes that we've missed here? Leave us the info in the Comments Section below! Looking for some additional FREE exhibit resources? Check out the POW! website.